On the program are: “Fluidity” by Yunkyung Hong; “Obnoxia” by Nathan Froebe; “Concerto da Camera II” by Shulamit Ran; Kay Ryan Songs by Laura Schwendinger; and a New String Quartet by Adam Betz. Featured special guest performers are pianist Christopher Taylor, cellist Leonardo Altino, Erin K. Bryan and percussionist Sean Kleve, of Clocks in Motion, as well as students Biffa Kwok, Saya Mizuguchi, Mounir Nessim, Steve Carmichael, Seung Jin Cha, Joshua Dieringer, Seung Wha Baek, Saya Mizuguchi, Erin Dupree Jakubowski and Yunkyung Hong. One of the Madison-based classical music critics who deserves your respect is Greg Hettmansberger (below). Hettsmanberger has two news items to announce. Since August, 2011 Hettmansberger has authored the blog “Classically Speaking” for Madison Magazine, and added a print column of the same name two years ago. 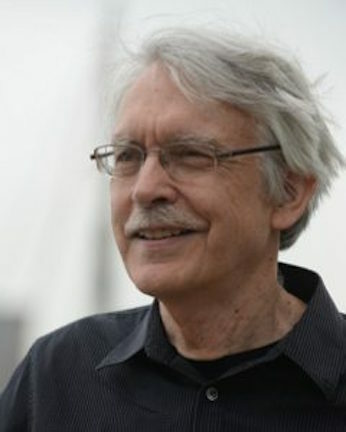 He was first published as a critic by the Los Angeles Times in 1988, and freelanced as a critic and features contributor for a number of newspapers and other publications in Southern California. He began writing program notes in 1996, and is currently completing his 19th season as an annotator for the Santa Fe Chamber Music Festival. Moving to the Madison area in 2001, Hettmansberger was the director of bands for Abundant Life Christian School until 2008. Now Hettmansberger has also been tapped by WISC-TV Channel 3, a local CBS affiliate, to appear once monthly on a morning show (at 6:40 a.m.) to offer previews, reviews and news about the local concert scene. He will get 3-1/2 minutes on the third Wednesday of each month. Hettmansberger is a discerning listener and a fine judge of musicians and music. That makes him worth paying attention to. 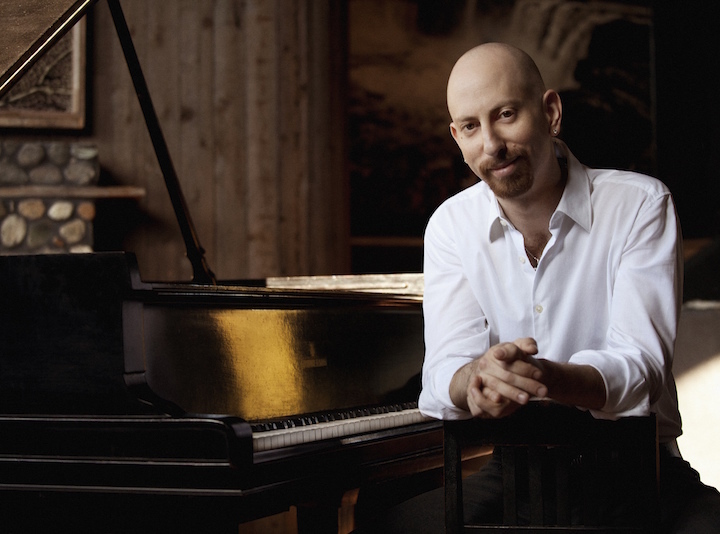 He always has important insights into performances by the Madison Symphony Orchestra, the Madison Opera, the University of Wisconsin-Madison School of Music, the Wisconsin Union Theater, the Overture Center and the countless chamber music groups in the area. So perhaps you will want to bookmark his blog or subscribe to it. Presumably, he talking about a review of Friday night’s concert of works by Wolfgang Amadeus Mozart, Franz Schubert, Francis Poulenc and Dmitri Shostakovich by the Wisconsin Chamber Orchestra (below top)and piano soloist Adam Neiman (below bottom). Wish Greg Hettmansberger well and leave your words of congratulations in the COMMENT section. Today’s posting marks the debut of guest blogger Greg Hettmansberger. 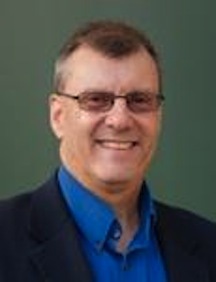 Since August, 2011 he has authored the blog “Classically Speaking” for Madison Magazine, and added a print column of the same name nearly a year ago. He was first published as a critic by the Los Angeles Times in 1988, and free-lanced as a critic and features contributor for a number of newspapers and other publications in Southern California. He began writing program notes in 1996, and is currently completing his 18th season as an annotator for the Santa Fe Chamber Music Festival. Moving to the Madison area in 2001, Hettmansberger (below) was the director of bands for Abundant Life Christian School until 2008. Rarely do I hear anything (a celebrity birthday, etc.) 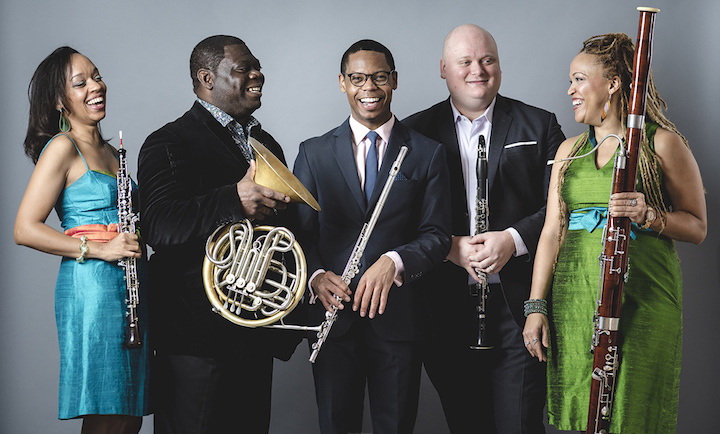 that evokes the response “that makes me feel old.” But it happened last fall, when it was announced that Naxos — the one-time “little classical label that could” — was turning 25 years old. It seemed like almost yesterday that I had interviewed the founder of Naxos, Klaus Heymann, on the occasion of Naxos’ fifth anniversary. 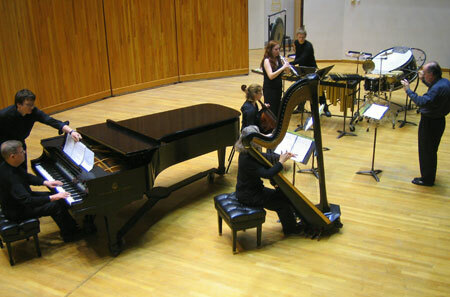 That was in Los Angeles, and Heymann (below bottom, in Hong Kong) was making a North American tour to do everything he could to turn his foothold of credibility as the all-digital budget label into a foundation of respectability as a significant force in the classical recording industry. Late 1992 was still the time of the Naxos “white wall,” the point-of-purchase displays of their distinctively plain white covers that featured not the glossy pose of the latest Tchaikovsky Competition winner but (gasp!) 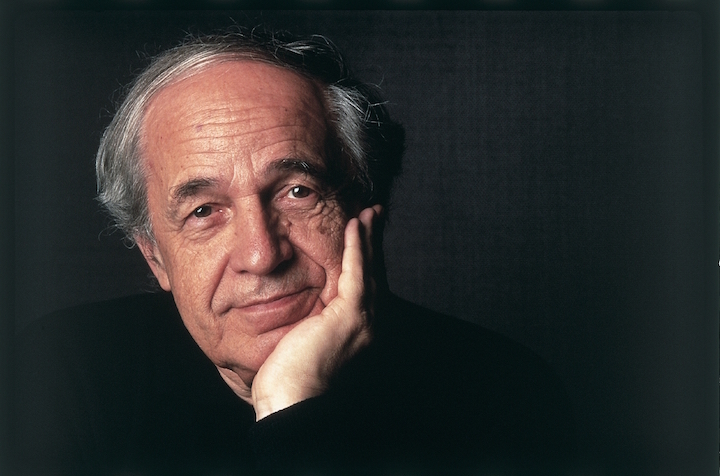 simply the composer and work in the largest type, against a mostly white background. 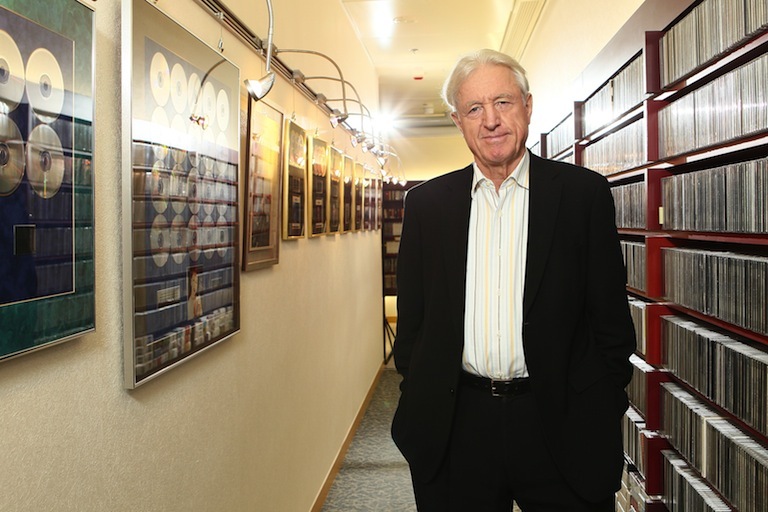 But what was a story of “David vs. Goliath” morphed into “David becomes Goliath”: over the next two decades, Naxos not only became competitive with the former giants of the classical industry, it overtook them all. 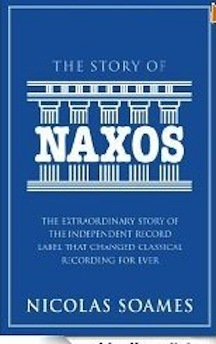 We get the whole story in the new book “The Story of Naxos: The Extraordinary Story of the Independent Record Label that Changed Classical Recording Forever” (below). 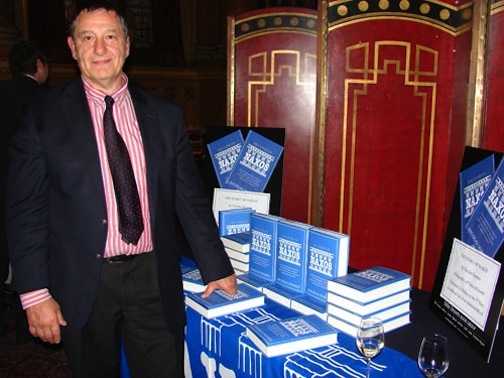 In a detailed, and often fascinating, 450 pages, author Nicolas Soames chronicles the story of Klaus Heymann (below), the “German businessman from Hong Kong,” as he almost by accident moved from new kid on the classical block, to producer and distributor of not only affordable, high-quality classical CDs, but branched out into audiobooks, jazz, world music, DVDs — and, oh yes, they have quite the digital/web presence today as well. Heymann’s personal story is told at once, a fleshing-out of his great quote that is given on p. 423: “When I am asked the secret of my success, I reply: 1. I didn’t read music. 2. I didn’t play an instrument. 3. I hadn’t worked for a record label.” What he did do is combine a lifelong passion for classical music with great business skills, and a personal radar for rare opportunities that never seems to be turned off. Soames opens with a fabulous overview of the state of the classical recording industry from the mid-1960’s through the mid-1980’s, overlapping the layers of business, technological and artistic factors that led to the Naxos “revolution.” Then we meet the man who made it all happen — and quite unexpectedly. It really started with Heymann’s marriage to the Japanese violinist, Takako Nishizaki — who also became his leading artist on his first label, Marco Polo. But what makes this book worthwhile are the chapters that give dozens of snapshot sketches of soloists and conductors who, in most cases, went from obscurity to solid careers and occasionally, international fame beyond the walls of Naxos’ recording studios. But what dozens of artists did get was a chance to record that they might never have gotten, and often recorded repertoire that no mainstream label would ever touch. 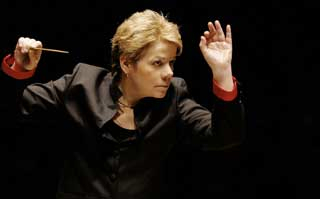 And over the last quarter-century, Heymann can be said to have nurtured in varying degrees the careers of such artists as pianists Jeno Jando and Idil Beret, the Kodaly Quartet, and the conductor Marin Alsop (below), among others. There is no questioning the qualifications of Nicolas Soames for writing this history: he was involved at the beginning of Naxos Audiobooks about 15 years ago, and has seen the growth of Naxos from the inside. 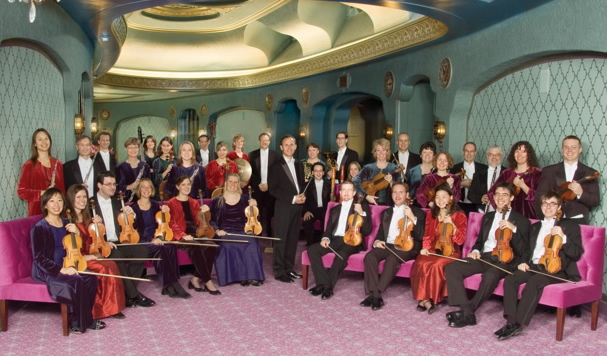 (Originally Naxos was a distributor of Soames’ small label, Clarinet Classics). I was surprised to learn how much I didn’t know about how Naxos grew, and as both a music lover and writer about music, the book has pointed me in a handful of exciting new directions. Want a place to start? Go to the appendix, which contains a partial list of Naxos’ award-winning discs in its seven and a half pages. For everyone from hard-core classical fan to someone who just likes a story about a business phenomenon no one saw coming via a model that likely will remain unique, “The Story of Naxos” is a great read.